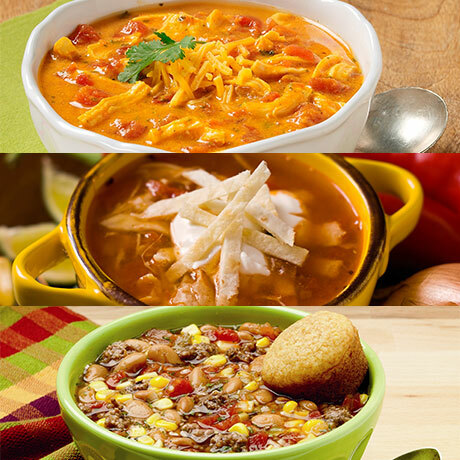 All of our flavorful fiesta soups in our signature box. Easy preparation with common ingredients, these mixes take all the work out of serving up a great lunch or dinner. Includes one packet of each: Chicken Enchilada Soup Mix, Tortilla Soup Mix, and Taco Soup Mix. Each packet serves 6-8. Taco soup mix contains soy ingredient. Chicken Enchilada and Tortilla Soup Mixes both contain milk and soy ingredients.